I Love Having A Clean House, From Wiping Down Counter Tops To Scrubbing Toilets, I Always Find Myself Cleaning Something! Having Two Children In The House & With My Oldest Being Autistic (He Gets Sick Easier Than The Rest Of Us) It Is Very Important To Disinfect & Keep As Much Germs Out As Possible. I Was So Excited When The Seventh Generation Cold Care Kit Arrived At My House! I Quickly Took It Out Of The Box & Went To Work Cleaning The Kitchen & Other Areas Around My House! My Cold Care Kit Contained Disinfecting Wipes, Natural All Purpose Cleaner, Facial Tissue & Mandarin & Lavender Purifying Hand Washes! I Was Very Pleased With All Of The Cleaning Products, They Don't Have A Chemical Smell Like Other Brands I've Used & I Can't Stop Talking About The Purifying Hand Wash! I Love The Mandarin Scent!! 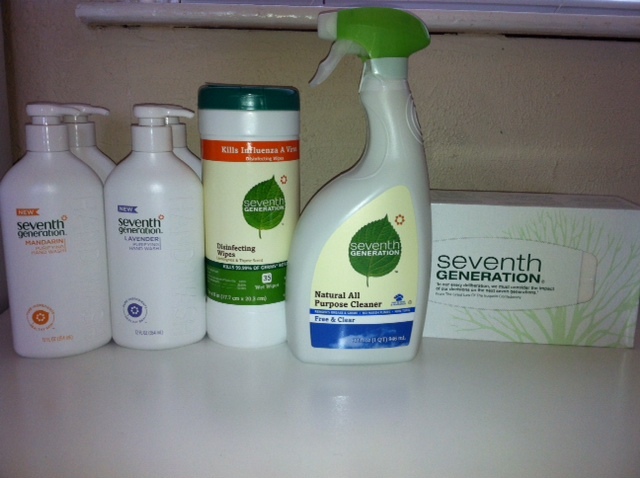 Seventh Generation Is An Environmentally Friendly Company, They Don't Test Their Products On Animals, Their Packaging/Plastic & Products Like Facial Tissue Are Made From Recycled Materials, Only Non-Toxic Formula's Are Used & They Dedicate 10% Of Their Profits To Organizations Working For A Positive Change! 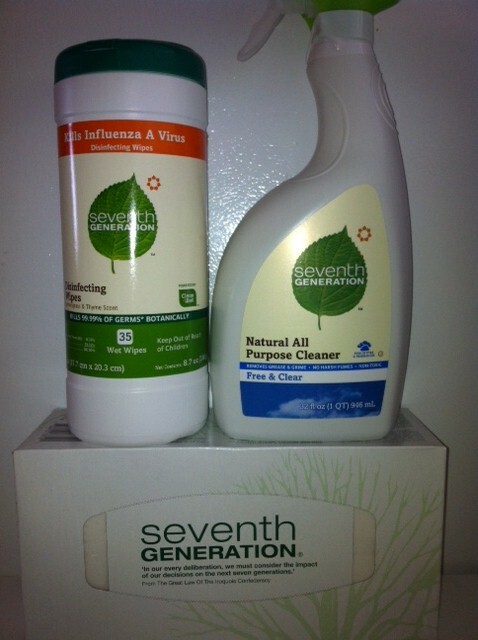 Along With Cleaning Products Seventh Generation Has An Entire Line Of Baby Products (Diapers, Wipes, Bubble Bath & More) Laundry Detergent, Trash Bags & Even Feminine Products! Don't Forget To Sign Up For Special Offers, The Seventh Generation Newsletter & More! 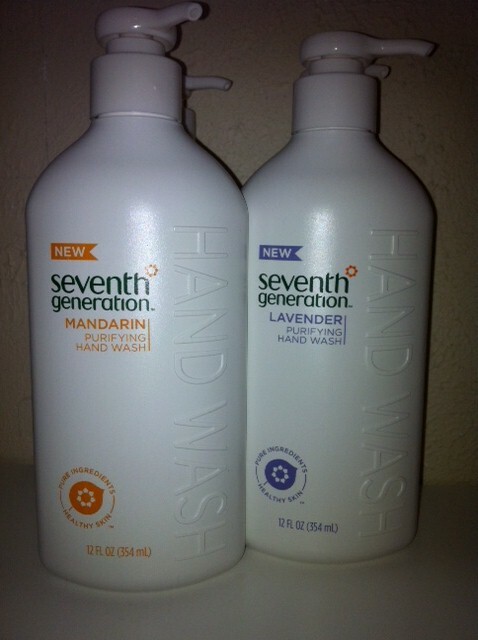 Buy It: Purchase Your Own Seventh Generation Products Online Or I Also Found Them At My Local Krogers! 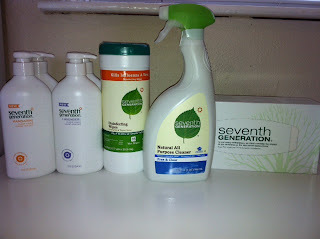 Win It: One Lucky Reader Will Win A Seventh Generation Cold Care Kit Like The One I Reviewed Above! 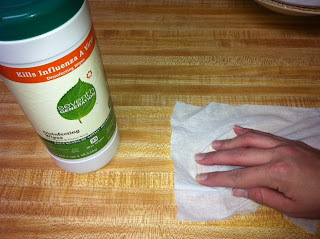 Big Thanks To Janessa From Thrifty Nifty Mommy For Sharing The Seventh Generation Cold Care Kit With Me! Be Sure To Enter The Joint Rafflecopter Below! Good Luck! I'd love to try their detergent! I'd like to try Seventh Generation Free & Clear Baby Wipes, 350 count. I'd love to try their wood cleaner! I would like to try the disinfecting wipes and laundry detergent.